The purpose of NFPA 1851 is to establish basic criteria for the selection, inspection, cleaning, decontamination, repair, storage, retirement, and record keeping of protective ensemble and ensemble elements. 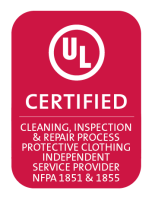 While most departments are familiar with selecting protective clothing, the expertise for cleaning, inspecting, repairing, and keeping records varies. NFPA 1851, 2014 edition addresses this with specific recommendations. Many fire departments utilize the services of an Independent Service Provider (ISP) for care and maintenance of their personal protective ensembles (PPE) and ensemble elements. However, not all these ISP’s are equally capable of cleaning and repairing your PPE with the care required to keep protective gear as safe as possible. The best way to protect your investment in PPE is to use an ISP that is ISO 9001 registered and has been independently verified to meet the care and maintenance standards of NFPA 1851. 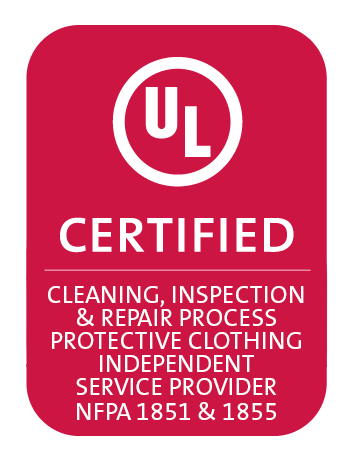 MarKen PPE Restoration is UL ISO 9001:2015 registered and UL NFPA 1851:2014 verified. The first edition of NFPA 1851, in 2001, was titled 'Standard on the Selection, Care, and Maintenance of Structural Fire Fighting Protective Ensembles'. It was developed to be a companion to NFPA 1971 - 'Standard on Protective Ensembles for Structural Fire Fighting'. 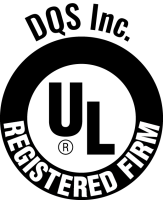 NFPA 1971 has been in effect since 1975 and specifies product design, performance, testing, and certification. This second edition of NFPA 1851, 'Standard on Selection, Care, and Maintenance of Protective Ensembles for Structural Fire Fighting and Proximity Fire Fighting', was a complete revision of the first edition. Because NFPA 1976, 'Standard on Protective Ensembles for Proximity Fire Fighting', was incorporated into the 2007 edition of NFPA 1971, 'Standard on Protective Ensembles for Structural Fire Fighting and Proximity Fire Fighting'. The third edition of NFPA 1851, 'Standard on Selection, Care and Maintenance of Protective Ensembles for Structural Fire Fighting and Proximity Fire Fighting', was also a complete revision and features many editorial changes, as well as new definitions. MARKEN is Independent. We Only Work For You!